We sell the best Self Laminating Wrap Around Cable Labels, the top part of the cable label is white for the printed text. Once printed with our FREE web-based software the bottom part which is clear over laminates the printed bit to protect and after that point the cable label will never come off. We understand cable labels and have many years experience of the best wire markers and communications labeling across the world in many projects from normal structured and Network Labeling cabling systems to the top rated cruise ships, trains, and NASA. Cable Labels around $1.99 per sheet. Free Web-based Printing software with no sign-up. Same day shipping and Saturday shipping. We make and distribute the most quality driven wrap around wire markers designed by technicians for use by technicians around the world. To make the most technician friendly and easy to use cable wire marking for cabling engineers. To understand every technician’s requirement and offer one on one support. Made for most wire labeling and Cat7, Cat6, Cat 5, patch cord labels, network labels, and new wire markers make these best cable labels. High quality, crystal clear print that is easy to read and will run through Laser printers without jamming or wasted labels. 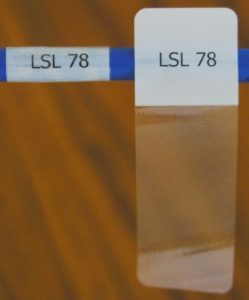 They are thinner, more flexible and have upgraded adhesive for superb performance and greater adhesion in both normal and harsher environments for your wire labeling. Designed for printing on a Laser printer, the top third of the wire markers being the print area, and the bottom two-thirds of our wire markers are clear polyester which over-laminates the printed part once applied. Our Laser printable wrap-around markers are ideal for multi-purpose labeling projects that can benefit from self-laminating like patch cord markers. They are manufactured using a clear polyester film with an ink receptive print area. The film is coated with a permanent, UV-resistant, pressure-sensitive adhesive. Our labels are backed with a two-sided poly coated printable lay flat release liner. The film is approved for indoor/outdoor use with occasional exposure to oil and water. These products are used by hundreds of industry professionals who need durable, long-lasting, permanent sheets for network labeling and marking with the added protection of a self-laminating, polyester wrap. These are perfect for networking and telecom installations as well as medical, lab applications and patch cords. Our film is specially designed for use with small cables such as fiber optics and thin VGA cables. Wire marking these types of cable is hard, old type cable marking is expensive and does not meet the new network labeling standards. Our products are made in the USA to support the structured cabling installations for all Network labeling, the quality is better and costs less than any USA or European competitors, our printable laser sheets are the best-made quality. Over the years we have worked out the best solutions and labeling software that help you with all marking, wire marking linking this with our new labeling software make any cat6 patch cord stand out. Structured cabling with the best wire marking help and saves money in the long run, any Cat6 structured cabling wire markers that are not used or installed will cause problems later, our wire labeling and structured cabling teams know that the best in the market come from cable labels in the USA. Over 16 sizes to fit most installation. In the USA we will provide you with the most cost-effective labeling products. Our FREE web-based software and templates give you the printing tools for FREE to printing your laser sheets. Same day standard fixed price shipping from the USA with FREE samples and tech support. We give the best support for any wire labeling project from a few wire labels to a full structured cabling installation. Tested by Cabling our own technicians and printed with our FREE web-based software www.printmycablelabels.com we are labeling experts and only use the product our own Tech’s use every week. Cable labels are now so very important in any installation or re-fitting of any wire or cabling job around the world. This is why we make sure that our cable labels #cablelabels are the best on the market around the world, some time ago we use manufacturer or #cablelabels from the UK and although they started out good the one thing they could not handle with quantity. They jammed in the printer and came apart causing lots of #cablelabel problems, so after many hours of blame we dumped UK manufacturing for some quality USA made products. Now on the web, you can get cheap cable labels, some from China and lots from the UK, but ours are now in our control which gives us the edge on any other out there in the market. So we do have the best and most technical #cablelabels in the world, others think they have, but we use our own products in real installations and just don’t sell them with bold statements. Our company provides you with the most cost-effective labeling products and wire marking products in Canada. We make and distribute the most quality driven wire markers designed by technicians for use by technicians around the world. To make the most technician friendly and easy to use products for cabling engineers. To understand every technician’s requirement and offer one on one support. Our new TCL 49 Network Cable labels made for most wire labeling and Cat6 networks, these new markers are the best. Just in case you don’t know we have worked in structured cabling for a very long time, so when I get an email telling me something new to make your life of the cable installer better, I have to read. The new best thing for labeling your jobs, have to read this. Faster, yep you have my attention. Hand held printer, just lost my attention! Everything for the new all singing hand held labeling printer is not new, we have had and have for many years, even our competitors have a better solution that hand held printer. Having worked on site for many years with hand held printers, they get stolen, lost, broken and more. Tapes from 30 $ to 60 $. So if I purchase the standard printer and 4 x tapes about 500 cable labels $360.00. You can buy 500 cable labels from Cable Labels USA for less than 25 bucks or less and our software is FREE and works on your tablet etc. So if you’re thinking of buying a hand-held printer for your cable labels, think long and hard. They have a use for the odd labels, buy anything over 160 cable labels, just too expensive. We all read with interest some posts on social media about sheet labels vs handheld and it's all very interesting. First I understand some people have never pulled a cable in their life or worked on-site until the late hours and that is the bottom line of which is the best. Some points that need correcting. Our software is FREE and easy to use, plus our competitors have the same deal (FREE and easy to use) Phone | PC | WEB | No training required. Printing on any laser printer, (not inkjets) on-site or not you can always find a printer, we have worked in every place in the world and never had a problem printing labels on site with our sheets. Human error or extra labels, not a problem we print on site or if 300 labels we send to site the following day. The tech knows how to deal with it and its even part of the system is that when we revisit the site years after we overprint all the labels by a % for future growth, so we always have spare labels in the cabinets. We also leave a bunch of labels with the "IS" team on-site and show the data center guys how to print changes on the cable etc. Space on the labels, we can fit five lines of server number on most labels and it only depends on how good your eye work to the amount of information. Plus our laser printer sheets do logo's and colors. Full sheet, yes on very small installation and changes may be some blanks, but our techs are the best and will fill it up with other stuff "server" "1" through "10" so they be used and our labels are very cost effective for a sheet of 49 labels the cost is like $0.02. The cost of the sheet labels and FREE software and time is nothing on any installation 25 to 1000 drops, in fact if you do a cost to cost on sheets labels vs hand held the sheet labels is like 48% more cost effective. On a personal note as a business owner, installer cable pulling world installer handheld printer doesn't even come close to being cost effective. When we used on site the got stolen, the batteries failed or my favorate " the cartridge has run out"
So ask your handheld printer supplier to try it for free, we do our software is FREE www.printmycablelabels.com and get some of our free samples. Our new TCL 49 cable labels are getting great results and when cable labels have never changed for 20 years, now we have a new design and all the Technicians that use them find out they are the best ever used. These cable labels also have two tails that make sure the last two edges of the adhesive part never come off. 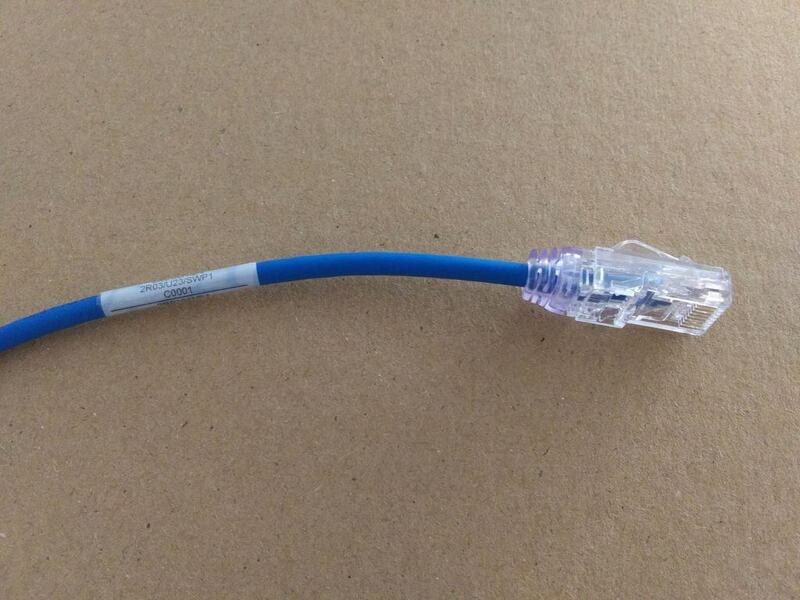 Applications, RJ6, RJ11 Ideal for Cat 5/6/7 and Cat8 cabling. and economical labels around today. Our new is now growing for the structured cabling market with our Patch Panel labels, fiber tags, engraved labels, data jack labels have cable labels all made to the same high quality that you have come to expect. and cable marking for electrical and data. cruise ships, railways, and NASA. We test all our solutions in-house and on many of our own network labeling installation around the world with new designs TCL-49. Our products are made in the USA to support the structured cabling installations, the quality is great and costs less than any UK or European competitors, our printable laser sheets are the Best cable markers.